The sun’s out. Air conditioners are running on high. You’re probably thinking about a rejuvenating beach vacation — or at the least an ice-cold lemonade next to a kiddie pool. But wait! You are a marketer, and unfortunately, there’s no time off when it comes to keeping your brand or client “top of mind” during the summer. If you take a break, you can potentially lose momentum and fall off your existing and potential customers’ radar, leading to a build up of missed opportunities. Scosche, a company that makes accessories for playing music both indoors and outdoors, understood that while everyone else may be shipping away for a long summer weekend, they needed to be building an experience to engage existing and potential customers during the summer. Tapping into the lifestyle their company projects, they launched a “Songs of Summer” Spotify Giveaway to highlight their Optimized for Outdoors products and encourage new and existing customers to engage with their brand around the idea of spending time outside enjoying all that summer and Scosche’s products have to offer. Even if your brand doesn’t sell gear that’s specific to summer, there are a few things Scosche did that any brand or agency can incorporate into their next digital campaign. Give away seasonal items: A giveaway that is topical to the season is a simple and smart way to encourage participation. People spend more time outside during the summer, so Scosche offered their BoomBottle family of Bluetooth speakers that can play music anywhere as a prize. Tap into your participants’ interests: It is safe to say that most people have strong opinions when it comes to music. By launching a Spotify Suggest a Song campaign, Scosche aimed to tap into their consumers’ own musical interests and their desire to show off and share their personal taste in music. Stick to what you know: Scosche’s concept for the campaign was based on the lifestyle that they project in their products and their brand’s persona. It’s something we say often here at Wyng, consumers want to interact authentically with brands, and they can smell fake sentiment from a mile away. Keep your campaigns authentic and in-line with the vision you have for your brand. Scosche’s “Songs of Summer” campaign will be running till July 15 and you can submit a song here. 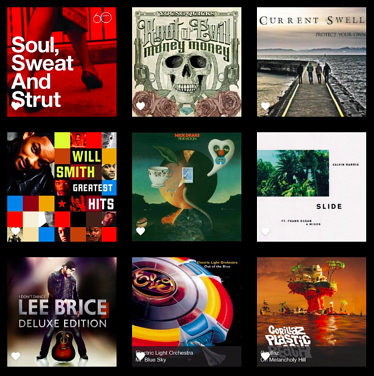 To learn more about the Wyng Spotify Suggest a Song use case get in touch with us here.